Have you been longing to get rid of those brown spots on your skin that had been embarrassing you for so long? Is that really possible? Just imagine how happy you would be if you could lighten your skin using an all-natural solution! Without any further exaggeration, this article will introduce you to the licorice root extract, ‘the wonder herb’, that will not only assist you in lightening your skin but also help you in boosting your confidence. Did you know that licorice root is great for skin? It is indeed a treasured natural remedy for several health issues and a great active to lighten and brighten your skin’s appearance. 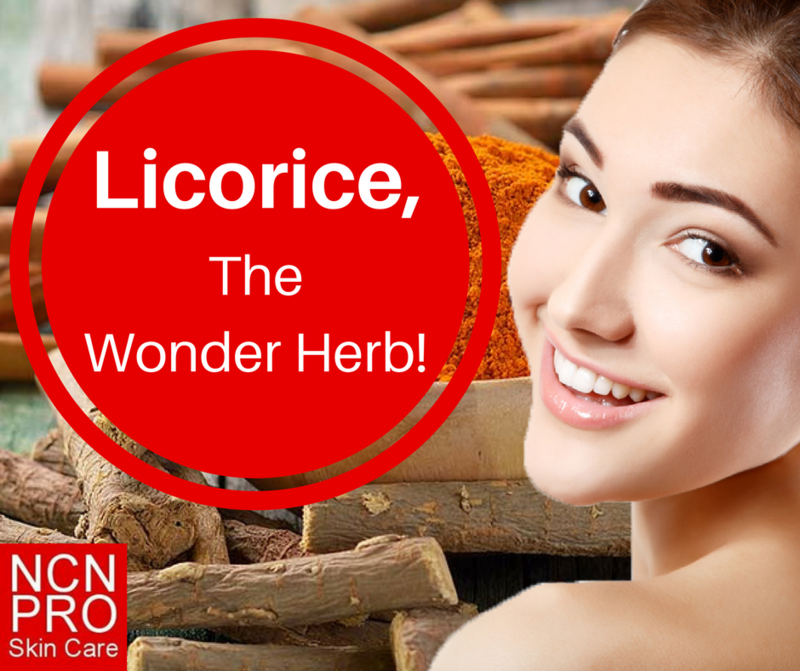 Licorice root also has a good reputation for being helpful for sensitive skin. It contains an active compound called “glabridin” which helps to diminish the appearance of dark under-eye circles, discoloration and age spots. Not only that, this extract consists of powerful antioxidants that help protect the skin from environmental stressors, whereas, “licochalcone,” helps to balance oil while diminishing the excessive oil on your skin. Hope it’s clear now, why so many skin lightening products contain this licorice root extract. It is indeed a dual tasker. On one hand, it acts as a skin lightening agent, and on the other hand, an oil controlling agent. Ever wondered how licorice root extract work to whiten your skin? There’s no magic but the licorice root contains Glabridin which is a tyrosinase inhibitor. It halts melanin production that causes your skin to become darker. So, in simple terms; Less melanin equals less pigmentation and less pigmentation will lead to a lighter skin. As for the excessive oil control, licorice root contains Licochalocne that regulates the production of oil in your skin. This makes the licorice root extract a safe choice for acne-prone skin types. However, despite all the benefits that this amazing licorice root brings, you might still be wondering how you can use this amazing natural solution on your skin. It’s a crucial question indeed. But no more worries and nothing more to think, you can now experience the valued benefits of licorice root by using our licorice root combined solutions on your skin. GHK-Cu Copper Peptide Amino Complex I & II. Sea Kelp Bioferment Is Just So Great For Your Skin! Neem Oil Benefits For Your Skin. It's A Fabulous Oil!